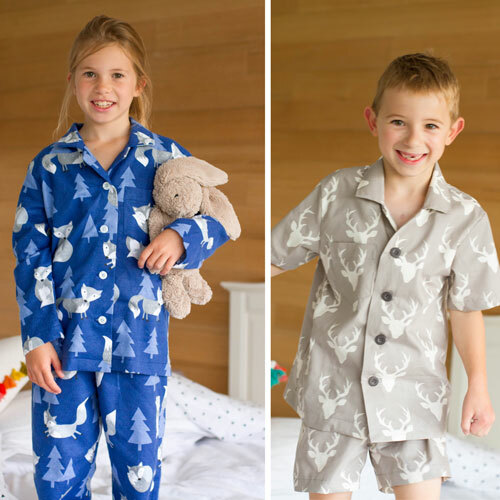 The perfect ending to busy days, the Catnap Pyjamas will keep your children snug at nighttime all year long. With a classic style the Catnap Pyjama top includes button down front, collar and chest pocket. The coordinating pants are a comfortable, straight leg with elasticized waistband. Choose long sleeves and pants for Winter wear or make them short for Summer time – this is a pattern you will be using all year ‘round! With their timeless style and cosy feel, Catnap Pyjamas will make bedtime a breeze!